These merino hot water bottle covers are pure luxury for you to spoil yourself with or to give as a thoughtful luxury gift. 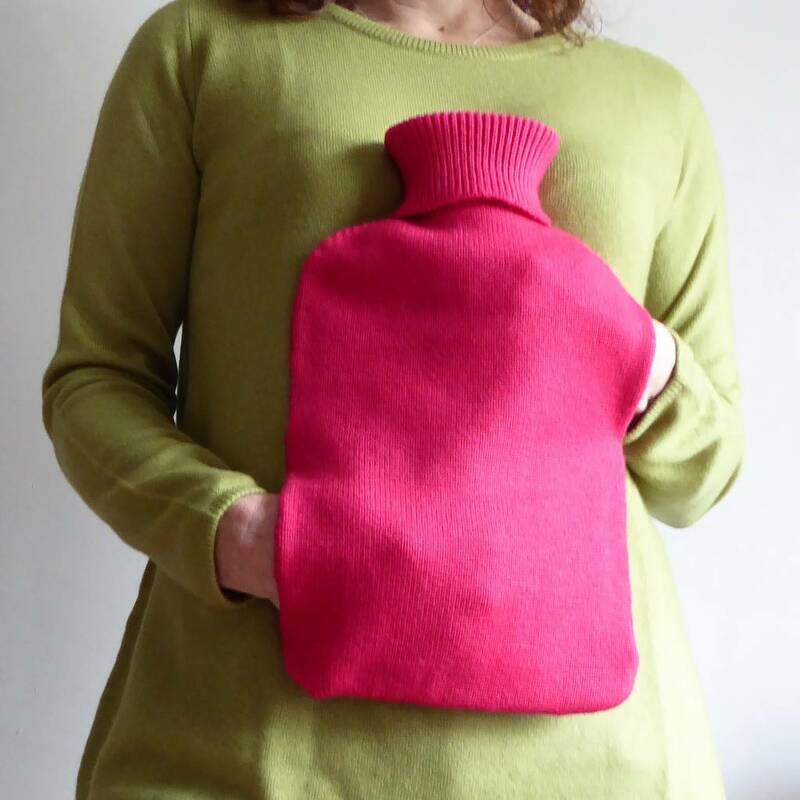 After a lot of hugging a hot water bottle last year to keep cold hands warm we decided that we could improve on the conventional hot water bottle cover and designed the Hug a Hottie Hot Water Bottle. Currently available in PLAIN KNIT and hot pink or bright rose to compliment our new merino camisole tops. This product is dispatched to you by Plum & Ivory.